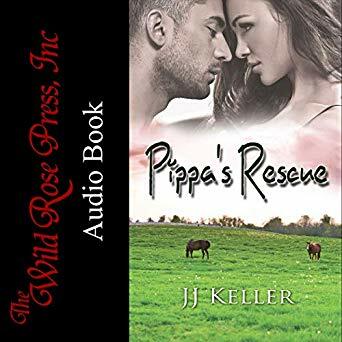 jj Keller – A storyteller of fantasies with spice and humor. Aside from celebrating God’s sacrifice to humans, Easter is a time folkloric bunnies are in the spotlight. Yep, furry little hoppers are reported to deliver goodies since 1682 to children…and adults as I love Cadbury Mini-eggs. The candy is a tiny treat to be enjoyed only in the spring. The hares, seen more than usual, are a sign of spring. Along with the beautiful bird songs I have hope the March equinox will arrive before it’s predicted March 20th date. *UPDATE* The hater continues to harass, but I went to court. I now have an official Protective Order against the hater. However, I will always be looking over my shoulder and sustain my self-defense techniques. I discovered my own personal hater had stolen guns from a farm—that is when my anger became fear and eventually hope. 2018 an unfavorable year for me…writing took a backseat to family issues. I love creating stories, taking fresh contemporary three-dimensional characters on adventures, searching for the truth, encountering danger…ah, nothing like penning a quick paced story filled with life. For the first time I had to hire expensive attorneys, attend court, get a Protective Order and deal with the painful transition of accounting for elderly—all due to one person: a hater of the worst kind. The hater has always been aggressive, always violent and never controlled by anyone. This hater treats lawsuits as source of income and rarely toils. Due to my position, at first I tolerated the threats, agreed to almost everything—intending to do none of it, and chose my battles wisely. All the time the self-involved hater created more roadblocks, destroyed trust and made many people sad and/or angry. I didn’t have any experience getting a Protective Order and traveling a good distance, in December, to obtain one was interesting. I submitted truthful paperwork and waited for the clerk to advise me of the next step. After a very short wait, on a very hard bench, a friendly lady led me to a door stating Superior Court 4. Unbeknownst to me, I was to go inside the room and tell the judge why I needed a Protective Order. While I waited, a man wearing buff-colored work boots sat at the other end of the five-foot bench. A sign, as large as life, indicated not to talk to the prisoners…how would I know who was or wasn’t a prisoner? He didn’t look like a prisoner, but I don’t have any experience; ergo, I chose silence. A large purse plopped beside me. I glanced at a stout woman wearing a red sequin blouse, sweats riding low enough a large tat stood out just above her crack, and flip-flops. I held her gaze for only a moment. When my husband and I visited New York some of the local advice was to look a person in the eyes, but only for a second; otherwise, it the contact is considered a challenge or threat. I quickly looked away from the swiftly shifting brown eyes, as she bumped her leg against mine. Her wrinkled dry hand grabbed a twelve-inch brush peeking out the top of her day-bag and began swift hard strokes to her dark shoulder-length hair. She paced, her flapping shoes striking hard against the tile floor. Keeping my glance glued to the floor, I noticed her ankle security-monitoring bracelet. It glittered when she strode under one particular light. The device told the story of limited conversation. Hairs controlled, she shoved her brush inside her bag and sat, heavy, between the guy and me. An hour later a couple exited Superior Court 4, and I was called inside. The judge asked me why I was there and I stammered my reason…a hater had chosen me to expel wrath and has acted violently toward me. He asked the same questions, slightly different sentence structure, and I answered the same way every time. His hard face and intimidating edgy voice granted me a Protective Order through 2020. The sense of relief was short-lived as he informed me the hater has a chance to speak. A court date has yet to be set. After hiring an attorney to represent me in the hater hearing, I discovered the cutting-judge was a stand-in from small claims court. The judge who typically ruled the court had passed away and a new appointment hadn’t been made. I forgive the judge for his brisk/abrupt manner; meanwhile, the hater finds clever ways to continue the threats. the hater is a mocker/stalker/ender of life, so how can I forgive? 2019, a new year, I’m hoping it will be a bright and less expensive year—despite the hater who loves to hate. TO ALL OF THE HATERS, beware the good guys are taking charge this year. Me Too revolution started something fantastic and powerful—the future will be charged with positive rebellion propelling us into a balanced, female empowered, world. New Audio book: Mystic Love. Eric is a phenomenal narrator…he makes the story come alive. Ericka Gilmore dabbles in life and death when she tries to conjure a ghost lover. But when flesh and blood, Joe Reeves appears on her doorstep in the midst of a storm, she has to rethink her destiny. A car accident left the former cop with the ability to foresee death. Believe in Symbols? Warning Signs of what is to Come? I do! However, I didn’t recognize the significance of the super bright, epic, dragonfly until I was heart-stricken. On August 14the a ten-inch wingspan dragonfly hovered around my head. It circled, creating a figure-eight-pattern. This water insect got my attention. The brilliant green of its body became mesmerizing to the point I went inside the house and retrieved my cell phone to get an image. Do you see a large fluorescent dragonfly in this picture? Yeah, I don’t either; yet, it was centered in front of the lens—right in the middle of the sight square. The live jewel suspended inches from my phone. A few days later my pleasant peaceful life became rife with traumatic life altering events. A loved one suffered a massive medical dysfunction, which would take a year to recover. I became POA. Don’t know what POA represents? Nor did I, it’s Power of Attorney. My family member’s attorney was an “Old Boys Club” faithful member. He did not provide information, no guidebook to help me navigate through the lies, deceptions and threats to my life. I certainly could have used a manual of some sort. His only advice was to be smart, secure all the valuables and document everything. He later tried to get different males to rule as POA–all were rejected by my family member. Transformation and change is the symbolism I looked for in the dragonfly, instead I should have been (should be) looking out for illusions and deceits; which began my personal journey of change. The dragonfly’s lightness allows it to adapt and be flexible, and I’m experiencing the need to adjust and become less ridged with my honest belief in the goodness of mankind. I must find a way to recognize deceit before more roadblocks and hardships occur. I need to learn how to tackle issues and problems from different angles. On September 17th, a second dragonfly, smaller in size and not as brilliant, flew onto my car’s windshield as I waited in the pharmacy line. Another sign? Yeah, I get it now. I’ll try to keep faith and an upbeat mindset; even while I trudge deeper into the quagmire of cunning hypocrisy my challenged relatives create. Currently, I share the POA responsibility, but I continue to be immersed in the drama and fear the threat from another sibling promising to take me out and end me, I ponder the power involved with the decision making regarding a sick family member and the crucial impact it is making on my personal life choices. I don’t want my children to worry. I’ve been honest, truthful, and try to be generous and kind, so I’m not afraid of what comes next. Besides, the dragonfly inspires to keep a positive outlook-no matter what-a truly difficult task at times and my new motto. The Tarot Card is becoming AUDIO! Yes, you heard it…and will want to hear it again. As a result of this new world wide release, the fantastic Lisa Dawn has shown us the face of Kerry McClure. And a past review by Larkspur! Holy Cow what a great read! Ms. Keller gives us a love at first sight story. Stein and Kerry make a great hero and heroine. I loved the characters, they were well developed and enjoyable to get to know. The writing style was great and was a credit to the author telling such a well written story confined in 148 short pages. I loved the story line and was pleased with the way it flowed so smoothly and Vegas was a perfect setting. The love scenes were very inventive, sweet with just enough heat. The humor was well done and there was just enough angst to keep it interesting. Audio Triology Available…get your adventure today. Pippa’s Rescue. Review by Elizabeth Clester, Enjoyed it cover to cover! Artfully told so that I felt I was living within the story. 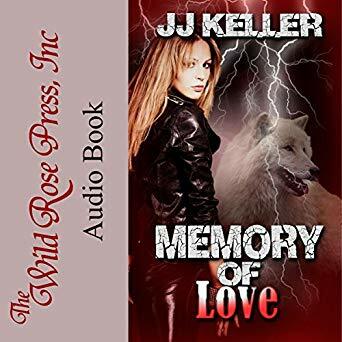 I would recommend and will be looking at other books by JJ Keller! Skogul, Valkyrie leader of the first squad in Valhalla, is supposed to offer immortality to former marine Basil Vanguard. Too bad watching science fiction on the big screen is more fun. But if her assignment slips through the cracks, will Odin himself take a hand? Basil wants justice. Determined to find the man who turned on his own unit and caused the deaths of many brave men, Basil tracks him to a horse rescue ranch. But the ranch owner is the traitor’s sister, and she’s not talking. Caught off guard by her beauty – not to mention the bizarre arrival of a leather-clad Valkyrie – Basil has a hard time keeping his mind on his mission. Aidan Hall, former guardian of Hell’s Gate, doesn’t trust anyone. So when a beautiful amnesia victim he’s never met appears at his door, why does he feel a connection? Who and what he is will keep them apart. But when dark magik shows up in his woods, his guard intensifies. Is it Skogul or someone else? Review: GC (Amazon) This book is a novella so it was over quickly but did not lack in entertainment. The narration was good and kept you entertained. This was my first book by this author but definitely will not be my last. Released today! 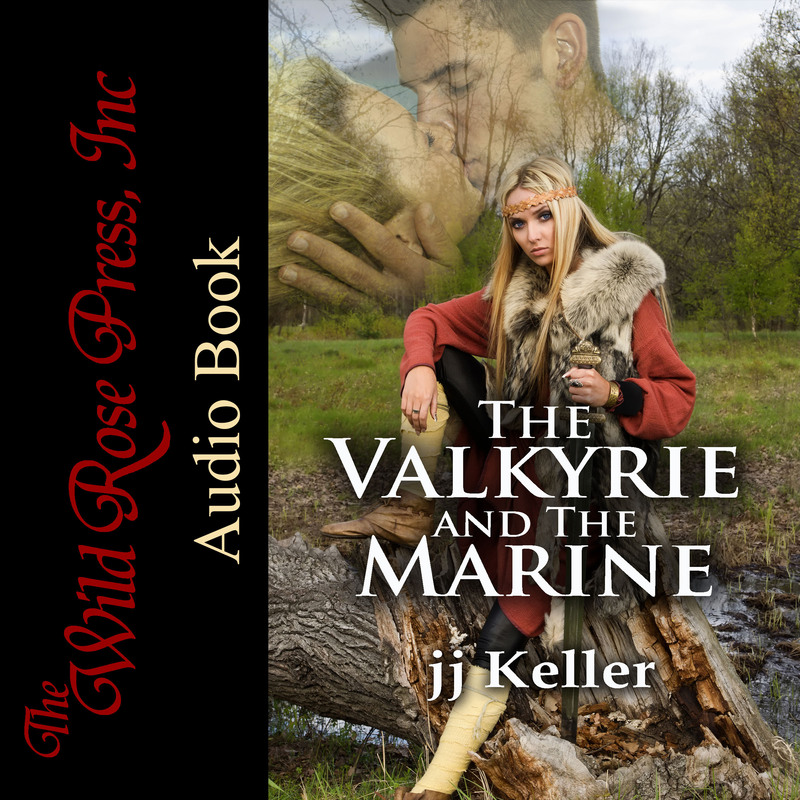 The Valkyrie and the Marine is now available in Audio! Mrs. Keller’s Marine is a strong man who is brave and independent. He knew he almost died, but he still has this vision of an angel who came to visit him. He wants to see her again. Ms. Keller’s Valkyrie is a beautiful woman who has magic and is part of an elite team. She has worked hard to succeed as being the best in her team. I found it very easy to relate to both characters; it might be fantasy, but the author expresses true emotions. In my dreams and even my semi-consciousness I see the number 392. I wish it was a premonition—especially for a lottery number—but I don’t have premonitions. I do see spirits. More often than not I resent the non-person interrupting my activities or instilling fear inside me. However, there are times past family members will make their presence known and provide solace, hope and the promise of a better future. On occasion I need this seed of inspiration. I didn’t recognize the deliverer of the three~nine~two message; but I have a strong intuition this essence is trying to tell me something. Depending on the outdoor conditions and Indiana has diverse, unpredictable, weather; we go a quarter-of-a-mile or a mile. B’s getting older so a mile is her max. I generally let her determine which route we take and eighty percent of the time we go past the houses of where dogs live. Those cute K-9s tend to look out the windows, doors, and bark. B, being a Sheltie, enjoys a good barking session. The other day just past the yapping little dogs in the yard I noticed something out of place…not the same. An older couple walked toward us. She appeared frail, grayish in color with scalp-hugging silver hair. The gent held onto her arm, supporting her as if to say I’ll never let you go. The closer B and I got to the pair I recognized the guy. Every day he manicured his lawn, actually clipping with a pair of scissor-sized cutters. He never replied to my hello or B’s loud bark of a greeting. In early spring he had the sidewalk blocked off with garden string…which didn’t stop us from scaling the line and continuing on. (I’m very protective of B and we try not to walk on the street. Drivers in Fort Wayne are much like those in Italy…rules of the road are simply suggestions;). Today, though, I halted B and we waited for the couple to turn into their driveway. B’s bark can be quite unsettling, and I didn’t want to upset the lady. It appeared, by the signs of cancer, she had enough challenges and toppling over due to a scare would make a bad day from the glorious sunny morning. However, I don’t believe the guy would let her slip from his arms. From his crotchetiness I assumed he was a Scrooge, when it’s probable he is a nice man with a heart-wrenching burden weighing him. My simple observation was he cared for his lady and treated her with the tender kindness like he did his yard. In my scenario of their marriage they continue their relationship even during the worse, clinging to what was and what may be. Thank you for reading my musings. I hope you have a lovely day.